August 14, 2011 – Journey to my heart…. I had to renew my license recently and saw the sign at the Secretary of State, the one that has been there every time, the one that says Organ Donor? I have seen it before and never acted on it. This time it felt different…. Maybe it felt different because somehow as I live in my forties, I realize that unexpected things happen….and sometimes they are life ending…. 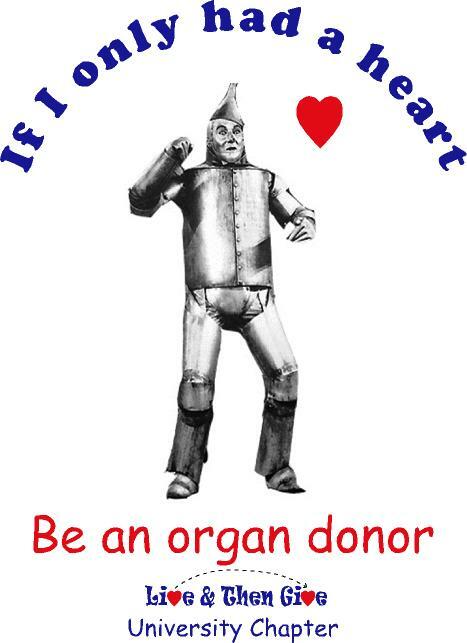 Maybe it felt different because I realize I am working hard to have healthy organs and there is some sense that now I really do have life to offer through Organ Donation…. I knew in my gut it was time to stop thinking about it and to commit to it. I hope that you to will commit to Organ Donation and trust that if your life here on earth is over before your organs wear out, the gift you offer to another is one that will bring hope and life! And in the final gift, you will never be forgotten! Author trishborgdorffPosted on August 14, 2011 Categories UncategorizedLeave a comment on Organ Donor…. meet you at the gym door…. Today my big sister turns 43. Today it is no longer the gym door, but we continue to share life together. She has been generous in sharing her family with me and we now both fully understand what it is to love the work of Hospice. I used to be a Hospice Social Worker and today she is a Hospice nurse. She has an unforgettable memory and recounts many stories of how she looked out for me or spoke up in my defense. She always was and continues to be a great big sister. How fun it would be if we could still meet at the “gym door” every day, but now we talk on the phone at least once a day and never seem to run out of things to say. It doesn’t seem like so long ago that we were sharing a room and singing hymns together at bedtime when we couldn’t fall asleep. Can we both really be in our forties? 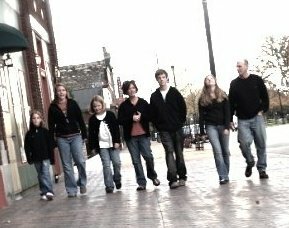 It always feels funny to use the picture above because it is missing my other favorite sister Suzi. 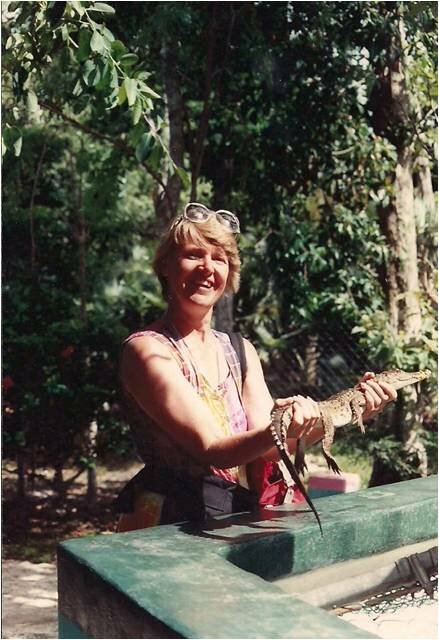 Although there was once years without Suzi, today we are all good friends. We laugh and cry together, but we also celebrate together. I am thankful for my sisters! 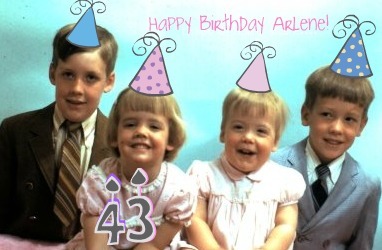 Happy Birthday Arlene Ann. May it be a year of much joy, delightful moments, deep contentedness, personal satisfaction and professional impact. I am thankful for our days way back when and the here and now. Thanks for always being at the gym door and for sticking close by even when distance separated us. You have grown up good! I love you and happy happy birthday! Author trishborgdorffPosted on August 14, 2011 Categories UncategorizedLeave a comment on meet you at the gym door….